Workhorse* will introduce it N-Gen all electric van at the San Francisco City Hall on March 28. 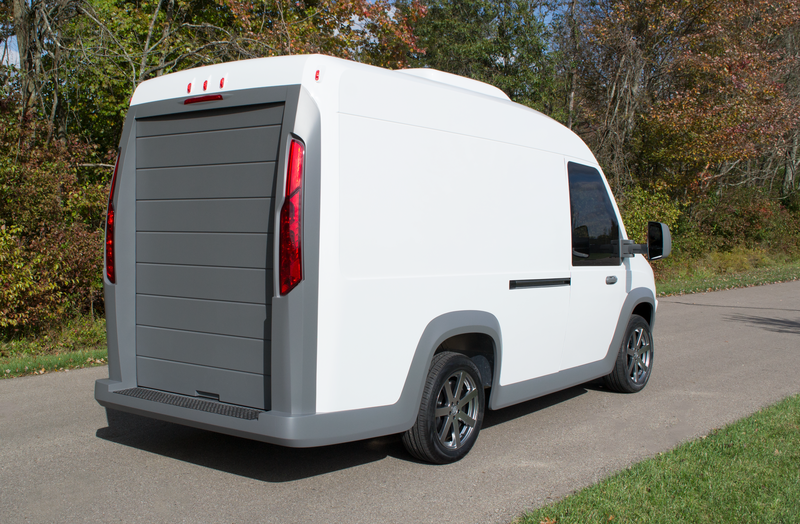 The battery electric N-Gen is an all-wheel drive delivery vehicle that features a low floor height and a tall roof for ease of access. Those features reduce strain on the knees, hips, and backs of drivers who must clamber in and out dozens of times every workday. The design also permits for transporting a large volume of cargo in a vehicle with a small footprint. Easy maneuverability in congested urban environments is enhanced by the compact design and a tight turning radius. N-Gen vans will be available in the San Francisco Bay area starting next month. The N-Gen van has a range of 100 miles — not enough for cross country travel but more than adequate for most delivery and other commercial uses in urban environments. It comes equipped for fast charging as well. Workhorse is a leader in making low- and zero-emissions commercial vehicles. Its W-15 plug-in hybrid pickup truck is optimized for use by utility companies who need an affordable yet rugged vehicle that can operate in electric-only mode most of the time but have the ability to travel long distances when the need occurs. The W-15 is now available for order by non-commercial customers. 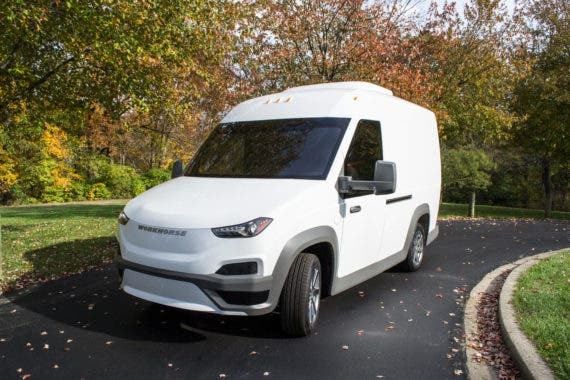 Workhorse has also developed large PHEV delivery vans for UPS and WB Mason that lower tailpipe emissions while offering lower fuel and maintenance costs. It is working on aircraft as well. It’s HorseFly autonomous package drone can be integrated into the roof of delivery vehicles to handle “last mile” delivery chores and it has recently received permission for the FAA to begin testing its hybrid electric passenger drone, the SureFly. The N-Gen van can be equipped with the HorseFly drone upon request. Workhorse has formed a partnership with Ryder Systems, which will be responsible for all warranty and maintenance work for Workhorse customers at any of its 800 facilities coast to coast. The N-Gen van is similar in concept to the electric StreetScooter van created by Deutsche Post. That vehicle has been so popular on the Old Continent that a second factory is planned to keep up with orders. The N-Gen design is arguably superior in that it does a better job of integrating the cab and the cargo box for a more efficient delivery process. *Note: the author owns shares in Workhorse.